Welcome to Phoenix Park Academy. Phoenix Park is proud to be different. We are an Alternative Education Academy, serving students from all of the mainstream schools in North East Lincolnshire. All of our students are referred from a mainstream school setting for one reason or another. 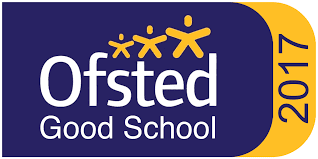 They have come to us for an agreed period of support before going back to their mainstream school or moving on to a more suitable school placement. We make a difference during their time with us; by working on the skills they will need to be successful in their next placement. Phoenix Park Academy is a split site school. Our Key Stage 2 and 3 learners are based on Harold Street in Grimsby at the Phoenix House site. Our Key Stage 4 students are based at the Park House site which is adjacent to Park Avenue in Grimsby. At Park House the atmosphere is deliberately more like a college, encouraging our students to plan and prepare for post 16 education. Currently we can cater for 42 students at Phoenix House and 48 students at Park House. There are photos in our galleries of the facilities on each site, so please take a moment to enjoy them. They are proof of our children’s endless capacity to improve and to overcome their problems, when given the right help.